Easter is one of the first, family holidays of the year for many. You may have been busy getting the perfect outfits and Easter basket goodies for your little ones. If you’ve forgotten to get something for yourself, don’t fret. A simple clothing item such as a bright spring colored pant or jacket, a flower scarf, or flowy white blouse will serve just fine for the day. Whether you’re headed out to brunch or to a family dinner, keep your outfit colorful, simple and sweet. We hope you enjoy the day and time with your family and friends. If you are lucky, you probably have recently gone on, or are planning a spring break trip. The best part of spring break trips is they are usually relaxing trips. You go somewhere warm, find a nice spot on the beach, and plop yourself down on a blanket where you don’t get up again unless you are going to eat or get in the water. It’s a nice break from the cold weather, from school and work, and from the bustle of everyday activities. Since you’re not doing much touring or sightseeing, you don’t need to overthink what you will take to wear. Besides your bathing suit and pajamas, here are some easy items that you can interchange from day to night, no matter what your plans are for the day! This is an all in one, perfect item to take. Flowy dresses can be dressed up or down, can be worn with sneakers or sandals, and don’t require much ironing, if any at all, after being unpacked. You can even throw it over your swimsuit if you’re in a pinch. They are light to pack and don’t take up much room in your luggage. We almost always bring a pair of jeans whenever and wherever we travel. You just never know if you’ll need them. Chances are, you’ll get a lot of use out of them. Light jeans are a perfect jean to take on vacation. They are usually a lighter weight in fabric and finding a pair with distress or panels makes them more interesting and fun. They are a playful jean color and while we don’t often think of them as being as dressy as darker jeans, a blazer and heels can take them farther than you think! Palazzo pants are a wide leg trouser that usually flare out starting at the hip. They come in a variety of fabrics with some of the most popular being a stretchy, jersey fabric. You’ll often find this pant style in a variety of prints and colors. The best thing about these pants is they don’t require ironing. Just like all the items mentioned above, these can be dressed up or down. They pack easily and take up no room in the suitcase. These pants actually would be the perfect airport outfit... stylish yet comfy! We are starting Spring early. We can’t wait any longer! We are ready to brighten our mood and looks. We are highlighting four must have items to start your spring wardrobe. Build on these throughout the season and by the end, you’ll have a complete collection. For now, these are the items you should start with! Pocket Placement Blog has reached another year! We are very proud and happy to have reached this milestone. This platform has been a fun outlet for us to share, exchange and learn about fashion. This year, we will highlight some of the most memorable fashions of 2018. 2018 was all about throwbacks. The 80’s and 90’s decades had a huge influence on the direction of fashion this year. Throwback styles like mom jeans, dad sneakers, biker shorts and fanny packs were showcased on runways and in stores from everyday brands to high end designers. All nostalgic and representative of that era. We also saw the use of unique materials, besides your typical cotton, silk or spandex fabrics, incorporated into everyday fashion. Materials like plastic, vinyl and PVC were designed into shoes, jeans, jackets and handbags. We also saw a surge in sustainable fashion. The number of new sustainable brands was at it’s highest ever and we witnessed established brands move more towards sustainability, whether it was through materials they used or the way they manufactured their merchandise. The most memorable 2018 fashions came to us through social media. Viral fashion moments stood out the most, this year, sometimes even breaking the internet. From the model wearing seven layers of coats on the runway, to the extremely over-sized puffy coats, to the ill-fitting slides an infamous celebrity wore to a wedding. All were an exaggerated form fashion representing art and offering a little entertainment, for some. These fashion moments were brilliant campaigns to increase brand awareness and conversation. Nonetheless, fashion is a form of self expression. We welcome all forms of it and choose to wear those that represent us best. We’ve always felt protective over the right to choose and wear what you want and how you want to. Fashion is fun and should always be. We hope that you have enjoyed the interaction and content as mush as we have. We look forward to another great year!!! It’s hard to think warm thoughts right now. Especially when there are faint remnants of snow on the ground. However, believe it or not, spring is officially less than a month away. New Years resolutions may feel like a forgone thought or goal, however, there is still time to work towards those objectives you were hoping to accomplish by the spring. It’s still January and a long way from spring. The weather hasn’t been too terribly cold or snowy but it has also been grey and moody. Routine is what is getting us through our days. Some of us have adapted a new routine because of workout or lifestyle goals we are trying to achieve. While the rest of us are hunkered in our homes, Marie Kondoing the heck out of our house. In either case, we are trying to look forward…preparing for brighter and warmer days. As you prepare, this is the perfect opportunity to reevaluate your style. Whether you are reshaping your body or decluttering your home, now is the time to look for inspiration that you can incorporate into your current style to bring newness and freshness. Draw inspiration from what you see driving through a neighborhood, what you read in books and what stands out to you as you flip through in magazines. It could be a new throw rug for your living space, a bright colored spring jacket or a commitment to try a new restaurant every month. Routines are necessary but can become mundane. Create a space for you to switch out, add to or experiment with things outside of your comfort zone. Just a little outside. 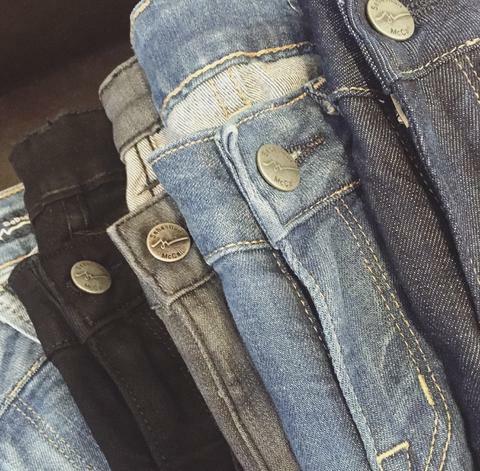 Jeans are all the buzz for Spring. There has been a lot of press on styles and fits that are hot for the season. Here’s the thing, of course jeans never went out of style. It’s just other trends have been at the forefront of fashion. Styles like athleisure wear and trousers became the latest trends to have. So it’s no surprise that jeans would be revisited again as the next trend to have. It’s always the item to have each season…whether or not it gets all of the press that other trends may get. The fact is, jeans are a staple. Most people have a pair and most people wear them and right now, there is a renewed interest in certain fits and body styles. In fact, some of the Spring jean trends may look familiar to you. You may even have them in your closet already. Here are two styles that we think you’ll want to consider re-wearing again. Eek!!! Not low-rise again?! Yes, low-rise jeans are coming back. However, not the low-rise we once knew. These low-rise jeans are not as low as before. You know, the ones that were barely hanging on to the waist, where you had to practically maintain an upright position or risk exposing something personal. No, the rise of these jeans fall about an inch below the belly button and are made with fabrics with much more stretch than previous versions had. The fabric makes all the difference in how these jeans fit, feel and flatter the body. If low-rise is not an option for you, mid-rise will be your best bet. Mid-rise jeans fall right below the belly button, so they cover more of your lower belly offering support and giving shape to your hips. Boot cut jeans were probably the most popular jean fit when the premium denim explosion happened. Partly because it dressed up a clothing item that was once often thought of and worn more like sweatpants. Boot cut jeans fit slimming in the leg from the hip to the knee and then there is a slight flare from knee to ankle. The flare, was in essence, meant to go over, as the name suggests, a boot. It’s a style that became less popular as straight and skinny styles became more trendy. It’s a very flattering jean fit and usually looks best when worn with heels. There are other styles like straight jeans and wider leg jeans that are also popular for this spring. The renewed interest in these styles doesn’t mean skinny jeans and high rise jeans are out. They are just additional options to consider when you want to broaden or revamp your wardrobe. Winter is not our favorite season. There, we said it. Sure, snow is pretty. Of course, we love the holidays. We also can’t deny the fun fashion that comes out in winter like coats and hats and scarves and boots. However, we get over it pretty quickly when the cold seems unbearable. It hasn’t even been that bad, yet just one freezing day feels like too long. Spring is nowhere on the horizon but that doesn’t mean we can’t take our minds there. We know most of us are dreaming of and drooling over images with brighter and warmer climates. Lucky folks get to go on a winter getaway to somewhere warm. There’s actually a fashion term for clothing specifically targeted to those folks that go on a warm vacation right before, during or right after the holiday – it’s called Resort Wear. These are collections, or wardrobe capsules, created by brands, specifically designed for those who will need warm weather clothes in the winter. That’s why you may see bathing suits and summery types of clothes in stores and in malls during the winter. Stores are not trying to push summer way too soon. They are simply offering a few, new fashion pieces that you can pick up for your vacation so you don’t have to dig deep and haul out your summer clothes bin for your quick getaway. Even if you are not planning on going away, the Resort Wear collections can actually be fun. They are usually filled with colorful prints, bold designs and diverse silhouettes. Not everything is shorts and floral summer dresses. You’ll often find standout pieces for special dinners or nights out on the town. Many of the items will work for spring, summer and fall. These collections usually don’t last long in stores. So it may be worth taking a look as them while you’re out shopping. You may find styles you’ll really like to add to your wardrobe. At the very least, maybe just the thought of warmer weather clothes will warm you up a bit. Wishful thinking?! We’ve over-shopped, over-eaten and over-slept through the holidays. All in good fun and all for a good reason. Now, we get back to normal. But not just any normal - a normal filled with new goals, new plans and a new outlook on the year ahead of us. The potential is there, we just need to harness it! Even if it means that it will be, or look, different than it was before. Sebastian McCall Jeans is looking forward to another great year. We’ve learned that even with the evolving fashion industry and expanding ways people can shop for clothes, everyone still wants great service, especially when it comes to shopping for jeans. This year, we will continue to focus on bringing you the best service and the best products. It’s what you know us for and it’s what we do best. Here’s to a great looking and fitting 2019! There was Rose Quartz and Serenity, Greenery then Ultra Violet, and now there is Living Coral. Pantone, a company that specializes in pigments and ink colors, has released its 2019 color of the year – Living Coral. Describe by Pantone as a “coral hue with golden undertone[s]”, this color was chosen for its lively, yet soft hue. Coral is not a new color in terms of existence. Many of us have seen this color in nature or even have a version of this color somewhere in our closet or our home. The color of the year is simply a color that Pantone chooses to represent a snapshot of their observations of our culture and current events. Pantone believes that Living Coral represents our playful nature. It’s vibrant and energizing, yet is rooted in warmth and nature. It’s a lively color, yet not overwhelming. You can bet that you will be seeing this color expressed in fashion and in design, if you haven’t already. It’s a pretty color and its undertone allows for dynamic color combinations. In fact, with the color of the year, Pantone also issues color palette combinations to show how Living Coral can be incorporated into your design or fashion choices. All of this should be taken as merely lighthearted information. Think of Living Coral as a new color to explore if you haven’t already. After long, dull winters, this may be the color to liven up your spirit for the spring! Remember, fashion is meant to be fun and playful! Happy Holidays!!! We’ve made it. While there is still some time left for last minute gift shopping and preparations, hopefully the bulk of it is complete. The lights are on the tree with gifts piling underneath, and accommodations are being prepared for families and friends that are coming. It seems the ball has been rolling and we haven’t had a chance, until now, to do some year-end reflections. Oh, what a year it has been! So many changes in life and in business. Through it all, we’ve been grateful for the lessons and experiences. Change is good, even if it’s different. It’s growth. It’s movement forward. We are thankful for your support over the years as we have evolved into a better brand and company. We will always work hard to bring you the best in fashion and style. From everyone at Sebastian McCall Jeans and Charlie’s Jeans, we wish you a very happy, safe, and warm Holiday!!! This year marks a special year for Charlie’s Jeans… it is our 20th Anniversary! Yesterday, December 6th , marked the official 20th year. As you know, Charlie’s Jeans is the official retail location for Sebastian McCall Jeans. However, before there were Sebastian McCall Jeans, Charlie’s Jeans was a retail store of mostly women’s and men’s dress and work clothing. As the industry evolved into denim, so did Charlie’s Jeans. Our jean selection and fitting service popularity grew. It was through interaction with our customers that we were able to see what our customers were looking for in jeans and how they wanted them to fit. From this, we created Sebastian McCall Jeans. Since then, Charlie’s Jeans has been fitting women and men in their perfect fitting Sebastian McCall Jeans. What began as a little boutique in the Northern Liberties neighborhood, grew to become Philadelphia’s ultimate denim store. Our location in Old City has been our home for nearly 20 years. At Charlie’s Jeans, we service our customers, helping them find exactly what they need and want in jeans. 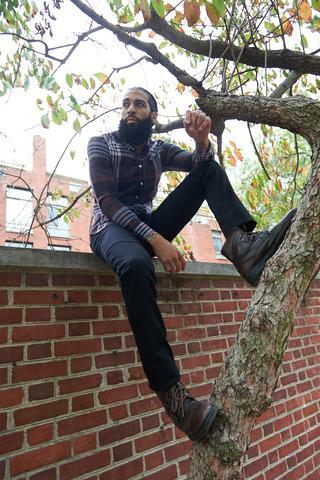 We fit you in your perfect Sebastian McCall Jeans, from the first pair on. We have strived to provide you with premium products and excellent customer service. We thank you for your support and patronage through all of these years. Happy 20th Anniversary, Charlie’s Jeans.